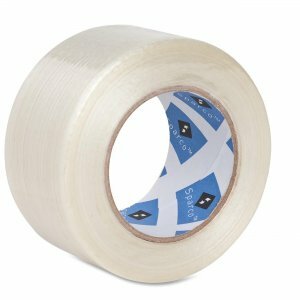 Filament Tape features a film backing reinforced with fiberglass filaments for a full 180 lb. tensile (bursting) strength. Meets USPS and UPS specifications. 3" core.